What's the purpose of configuration management tools? "...is a management discipline that is applied over the life cycle of a product to provide visibility and control of its functional and physical characteristics." "...which ensures that changes to released configuration documentation are properly identified, documented, evaluated..., approved..., incorporated, and verified." "...concerning the systematic proposal, justification, evaluation, coordination, and disposition of proposed changes; and the implementation of all approved and released configuration changes into (a) the applicable configurations of a product, (b) associated product information, and (c) supporting and interfacing products and their associated product information." This is a complex set of goals and, in an era of limited staff and shrinking budgets, demands significant automation to perform efficiently. All configuration management tools support real-time data collection and control as users build product definitions; propose, review and approve design changes; and exchange that data with your supply chain. 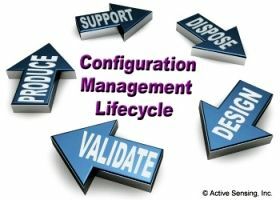 There are also independently-defined configuration management processes, such as CMII of the Institute for Configuration Management. These approaches can be extremely detailed, even to the point of specifying exactly which data elements will be included in your configuration management database schema (e.g., MIL-STD-2549 and EIA-836). Although configuration management practices are not inexpensive, their financial value has been frequently demonstrated. Essentially all large or high-risk acquisition processes now include a configuration management component. Paraphrased from ANSI/EIA-649 (1998), National Consensus Standard for Configuration Management. See also books on CM, such as Guess: CMII for Business Process Infrastructure (2002). PDXpert PLM has been designed to bring configuration management capabilities to growing engineered product companies. 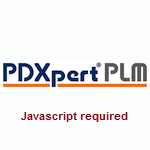 PDXpert PLM, "out of the box", directly supports many of the data attributes and nomenclature defined in ISO 10007, ANSI/EIA-649, FDA 21 CFR Part 820, ISO 13485, MIL-STD-973, and MIL-HDBK-61A. The business objects and workflow can be tailored to meet your company's specific requirements while conforming to industry best practices. PDXpert software is your source for as-designed document and part definitions, which can feed approved & released data to MRP (as-built) and servicing (as-maintained) systems. Configuration management capabilities include document identification, configuration item identification, revision management, product structure (bill of material) history, engineering change proposal (ECP) workflow, and integrated data file management. Just as important, PDXpert PLM is scaled to meet the needs of growing organizations. The modern user interface supports drag-and-drop BOM and change form construction, built-in data validation, extensive on-line help with step-by-step procedures, and even spellchecking. Administrators enjoy a simple, consistent interface for configuring the underlying database, a straight-forward installation process, and a simplified database maintenance console. After downloading PDXpert PLM, most companies are operational in less than 20 minutes. Moreover, the benefits of an automated configuration management tool are available to even the smallest design teams at surprisingly little cost. PDXpert PLM's architecture is designed to scale from single users to medium-sized enterprises, requiring minimal IT support while providing flexible configuration options.